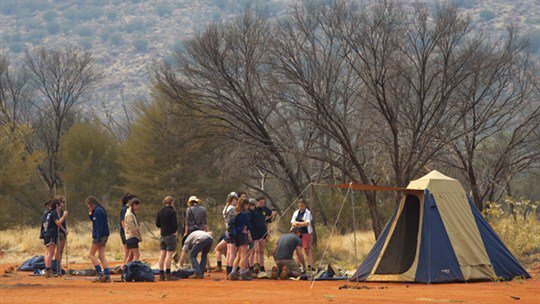 Jungala Enterprises educational cultural immersion experiences offer an authentic cultural experience with interaction and learning from Aboriginal people on Aboriginal communities travelling from Alice Springs to Kings Canyon/Watarrka to Uluru-Kata Tjuta National Park. With itineraries tailored to suit individual, charter and specialised group needs. This is an Aboriginal owned and operated enterprise. 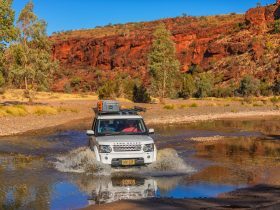 Jungala Enterprises offer a range of tours from one or seven day Larapinta Trail walks or a half day Jukurrpa Bikes (dot painted bikes) tour. 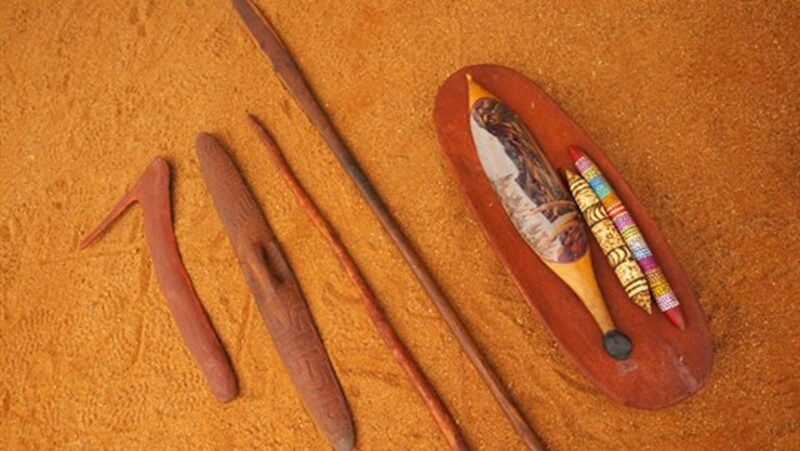 There is also the opportunity to purchase indigenous products including paintings direct from the artists. 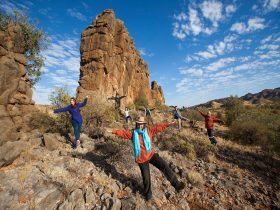 The Jukurrpa Bikes is a cultural experience with a difference, riding around Mpantwe’s (Alice Springs) landscapes on Jungala’s painted mountain bikes. 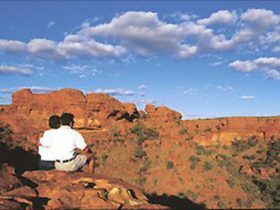 Taking about 4 hours, this tour will enlighten you with cultural insights from your guide sharing his Aboriginal history. 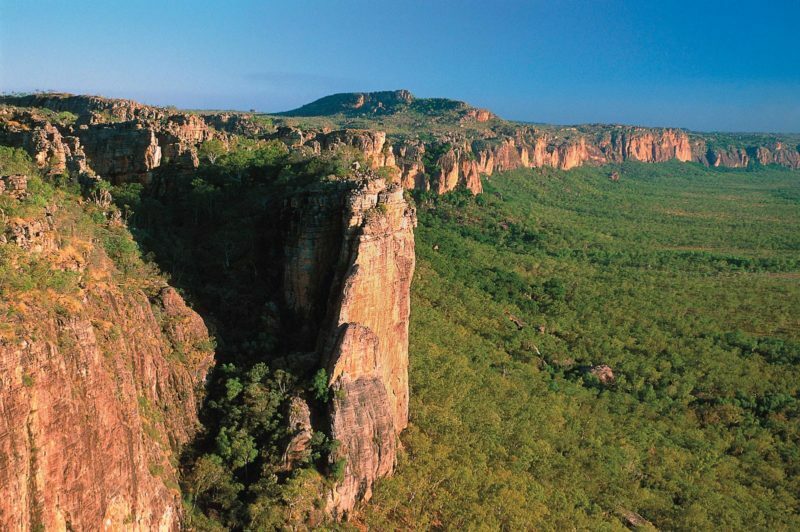 Walking with an Aboriginal guide, you can experience this trek with a difference. 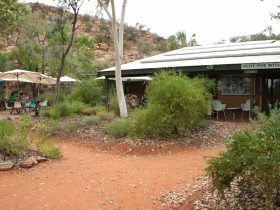 Walk by the old telegraph station to Wallaby gorge, following the landscapes from the creation time and experience cultural interaction as well as a section of the award winning Larapinta trail. 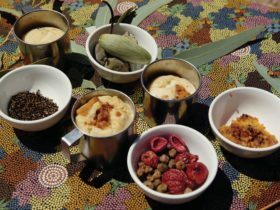 Jungala provides morning tea and a light lunch on the trek. 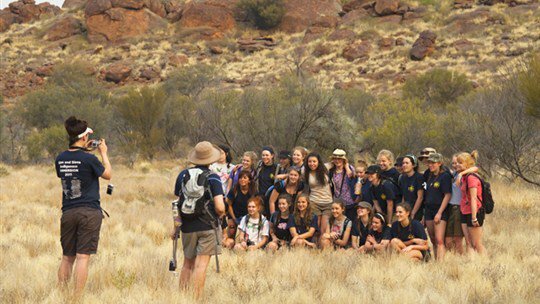 As an aboriginal tour guide, Jungala creates an authentic experience that is culturally related to the land and the natural environment. 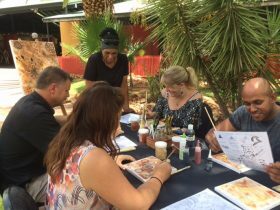 Providing clients with a deeper, richer experience of Australian culture and Indigenous culture. With this tour there is approximately 5 to 9 hours walking each day. This trek is graded moderate and requires a good level of fitness.